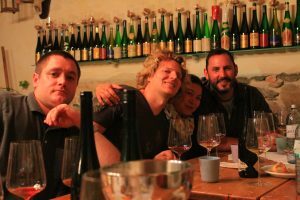 Our visit to Austria last month got us thinking about the human element of the wine business. While the hours spent tasting and discussing all the nuances of soil, climate, and vintage were certainly informative, it was the opportunity to relate to our Winery Partners on a personal level that left a lasting impression. We seek out wines that speak to us, wines that communicate a “sense of place,” and spending time with the people behind these wines illuminates a new facet of this dialogue, in which the winemaker is just as essential to a wine’s origin or identity as terroir. Every Malat gets a barrel engraved to commemorate their birth. Many of our Winery Partners have deep family ties, sometimes going back many generations. Two that come to mind from our visit are the Malat winery and Familie Reinisch. Spending time at each winery, we were struck by how strong the sense of family and heritage was with these two producers. 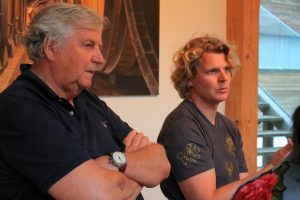 While the Reinisch brothers divide and conquer, each one heading up a different aspect of the winery, Michael Malat draws on the encyclopedic knowledge of his father Gerald, and the nine generations of winemakers that preceded him. While the approach may differ, the core principle remains: these are, first and foremost, family endeavors. Circo Vino can identify with this approach, being a family business ourselves. It is no accident that so many of our Winery Partners go back for generations. In the cellar at Reinisch. The gorgeous tasting room at the Reinisch winery in Tattendorf is everything you might expect to find in a premium boutique winery. Soil cores, beautifully displayed viticultural esoterica, even a station to train your nose to better identify aromatic elements. Often, these places can come off as clinical, soulless, and pretentious, but the welcoming smiles of the Brothers Reinisch banish any preconcieved notions. It is immediately evident that these guys love what they do, and, having grown up in the family business together, have a unique working relationship. 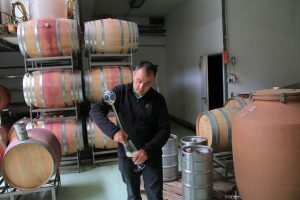 Michael heads up the business side of things, handling sales and exports, which is no small task at a winery that has grown from 1/2 hectare in 1923 to over 40 hectares today. Now in its fourth generation, Familie Reinisch has the capacity for sustained growth, and thankfully they have Michael to make sure it goes smoothly. 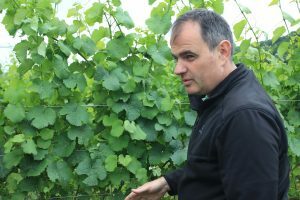 Hannes talks Pinot Noir clone selection in the vineyard. Christian and Hannes work the vineyards and cellar, respectively. The deep sense of regional history and tradition shows in both their varietal selection and winemaking philosophy. 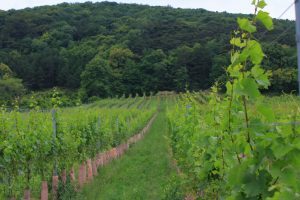 The Thermenregion is notably friendly to Burgundy varieties, and the brothers have curated a wildly successful Pinot Noir program on the estate. With careful selection of Pinot clones from Burgundy and obsessive attention to detail in the cellar, the pair have managed to create some of the most expressive Pinot Noir we’ve ever tasted. It’s not just internationally-loved varieties at Reinisch. The brothers also devote a good deal of their efforts to preserving a slice of Austrian heritage. The native varieties Rotgipfler and Zierfandler are some of the least-planted grapes in the world, and are rarely seen outside of Austria. 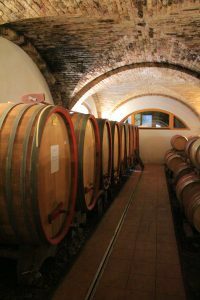 Reinisch has a substantial program for both varieties, producing wines from each, as well as the slightly more common Zierfandler-Rotgipfler blend, once an international staple. Speaking of native grapes, St. Laurent is arguably the most important variety for Reinisch. The finicky grape requires lots of attention in the vineyard, but in the capable hands of the Reinisch brothers it shines. 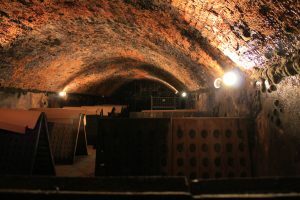 The Malat cellar, built in 1722. Spending time with Michael Malat is much like reconnecting with a long-lost friend. His warm demeanor and down-to-earth nature instantly puts one at ease, and it’s easy to forget that you’re talking to a mostly famous vintner. Nine generations of winemaking heritage is in evidence at the Malat estate, with a cellar that dates to 1722, and many hectares of vineyards. The Malat family has spent nearly 300 years studying the Kremstal terroir, and the extensive knowledge is added to with each successive generation, providing them with unmatched expertise. Michael and Sariya bond over dinner at Pulker’s Heuriger. Michael and Gerald discuss the 2010 vintage. The Malats are not only experts, they also have a long tradition of innovation. 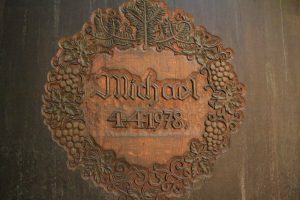 Michael’s father Gerald, whom we had the pleasure of tasting with, is revered in Austrian viticulture for his landmark Supreme Court case legalizing estate-produced Sekt in Austria. 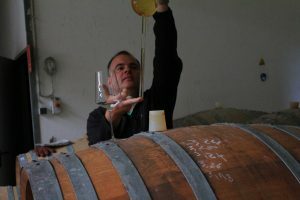 The pioneering spirit continues with Michael, as he refines the estate’s Sekt program, expands his Pinot Noir plantings, and still somehow has time to turn a forgotten tank of Gewurztraminer into a sublime skin-contact “orange” wine. Michael Malat’s deep family roots have fundamentally influenced his winemaking, and with centuries of knowledge and tradition to draw from, he will undoubtedly continue to wow us with his wide range of superb wines. As if this wasn’t enough, the winery boasts a stunning, modern hotel as well. Situated in the shadow of the historic Göttweig Abbey, the sleek buildings and unbelievable views are reason enough to book a stay. But the real draw here is the Malat family. Whether it’s a homemade breakfast prepared by Michael’s mother, Wilma, or a surprise visit and impromptu tasting with Gerald, the feeling of family is always present, and the Malats are more than happy to share that joy with everyone. Both Reinisch and Malat draw on their heritage and, most importantly, are committed to preserving their land for future generations evident in both Estates’ farming practices. Familie Reinisch has obtained organic certification through BIOS (Biokontrollservice Österriech), an organization within Austria regulating organic practices across farming, livestock production, and food production. Familie Reinisch’s adherence to the strict standards of this organization insures their vineyards are viable for many years to come. 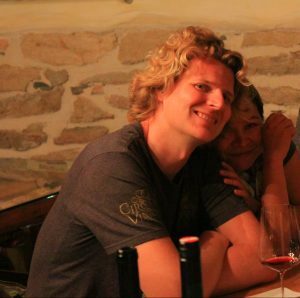 Indeed, Hannes’ son, Sebastian, has already begun to follow in his father’s footsteps, with aspirations of becoming a winemaker. Michael Malat, a new father himself, stewards the land he farms, and perhaps one day will pass his extensive knowledge to Baby Leopold. While not indicated on his labels, Malat farms organically, eschewing the use of fertilizers or pesticides. Furthermore, he does not irrigate his vineyards. Vineyard sites such as Gottschelle, are “dry-farmed,” meaning they only receive water from natural precipitation. Grapes grown in this way develop deeper roots, with more intense characteristics as the vines are in a controlled struggle to survive. We were incredibly fortunate to have the opportunity to drink these wines at their origins, and with the people who made them. Sitting down with these winemakers and hearing the stories behind the bottle was perhaps the best way to truly wrap one’s head around a wine. 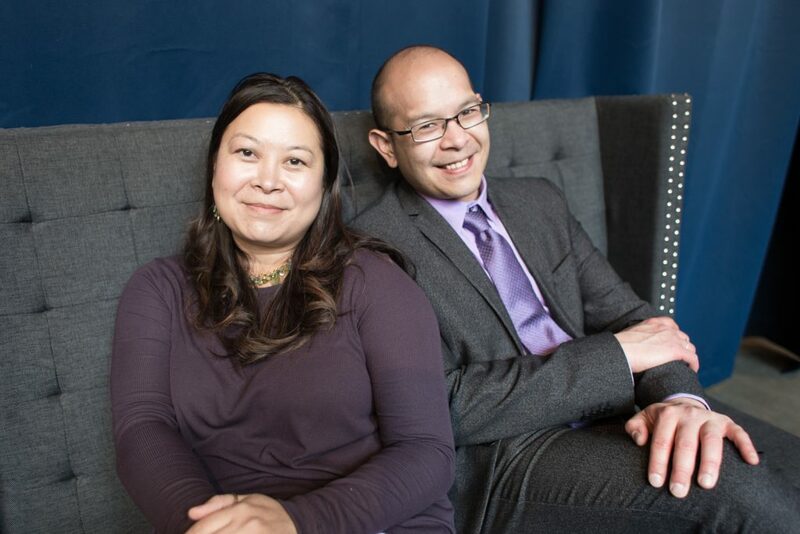 The human element is very much in evidence in both of these winery’s offerings, and we are confident that they will continue their family winemaking tradition for years to come.